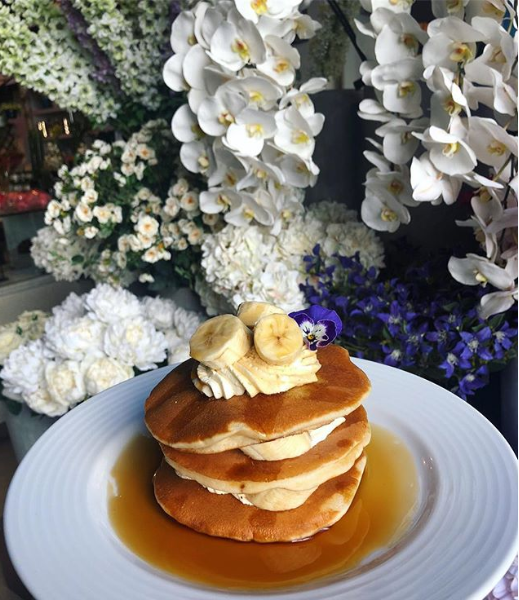 6 of London's Best Bottomless Brunches! For Londoners, Bottomless Brunch isn't a meal, it’s a religion. As the summer months approach, it's difficult to ignore the numerous eateries packed to the brim with hungry brunchers. The summer months bring with them chairs and tables on city sidewalks, cocktails perfect for the summer heat and a crowd of sunglass wearing trendy Londoners playing a game of seen and be seen. 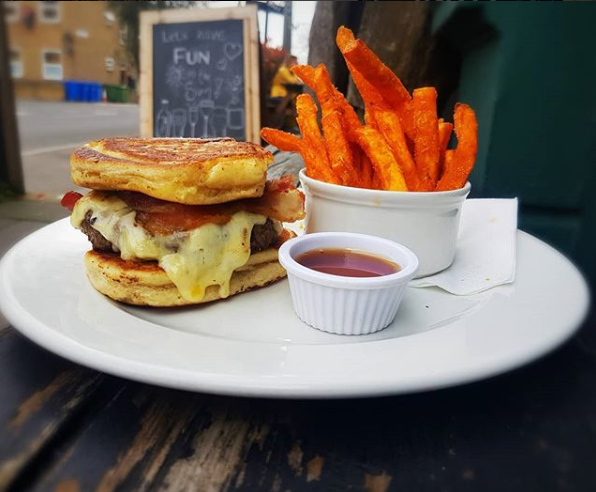 A fun in the sun brunch can mean many things and whether it's multi colored heaps of thick fluffy pancakes, melt in your mouth waffles, eggs any way, pastries galore, a Mexican feast or a selection of breakfast burgers (!) all accompanied with unlimited booze then we have you covered! What's the deal? For £35 per person, you will receive a choice of unlimited bloody marys, prosecco or mimosas, 3 dishes with a two-hour time limit. What should you order? If you're a fan of sharing then this American-style diner is the place for you. Whether you are nursing a hangover or only getting started we recommend trying every dish on the menu. The Bloody Mary is the perfect level of spice and the Chilaquiles and the Cheeseburger Hash are to die for. What's the deal? For £45 per person you will be able to guzzle down up to 5 glasses of champagne per person and enjoy unlimited plates from the starters table with a 3-hour time limit. What should you order? Watch Keralan head chef cook up a feast before your very eyes at the 'live cooking station' and then decide what to order. 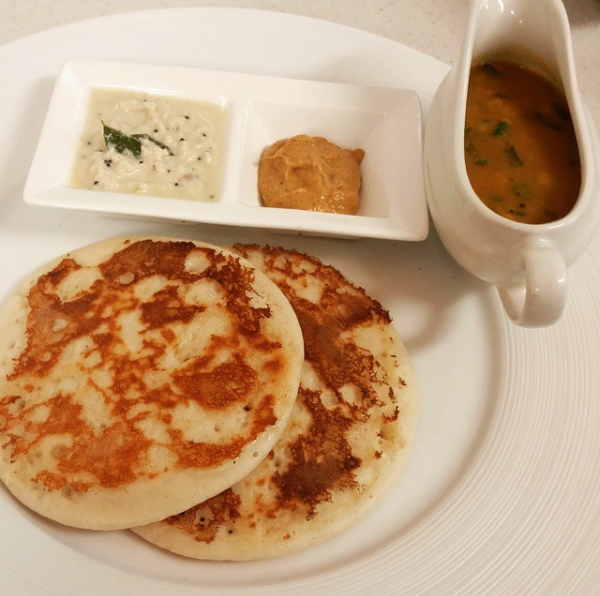 We recommend the freshest oothapams you will ever taste (plus they are made before your very eyes!) as well as the mini salmon pakora from the 'Intermediate dishes' section. The perfect Indian experience! What's the deal? Bunga Bunga Battersea like to keep the deal simple and the atmosphere wild. For £44 per person you will receive unlimited bellinis and a 3-course menu with a time limit of 2 hours. What should you order? If you are going for the bottomless brunch option (why wouldn’t you?) then you will fall head over heels in love with the DIY bellini 'kit'. 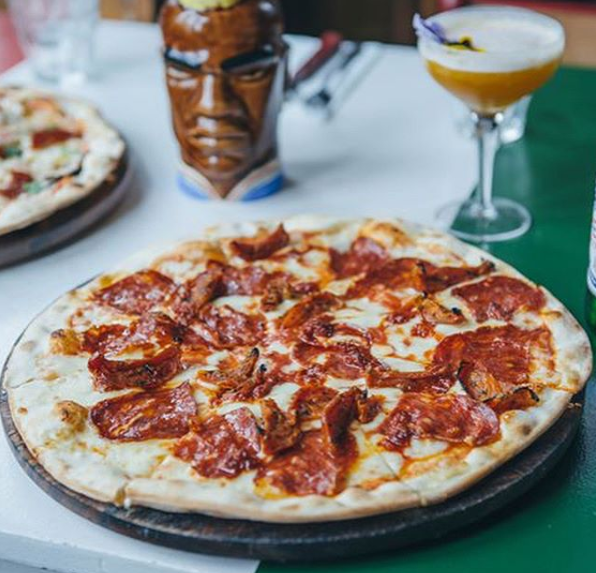 In terms of pizza we would go for the Bunga Benedict complete with a poached egg and hollandaise sauce or the Frank's Capra with soft goat's cheese and toasted pine nuts. Tuck in alongside live music, karaoke and quirky décor! What's the deal? Pay anywhere between £39-£46 with an additional cost of £20 for unlimited Bellinis or prosecco. What should you order? Pachamama is for those that refrained from going out the night before and work up fresh and ready to dive into an authentic Peruvian, culinary dream. 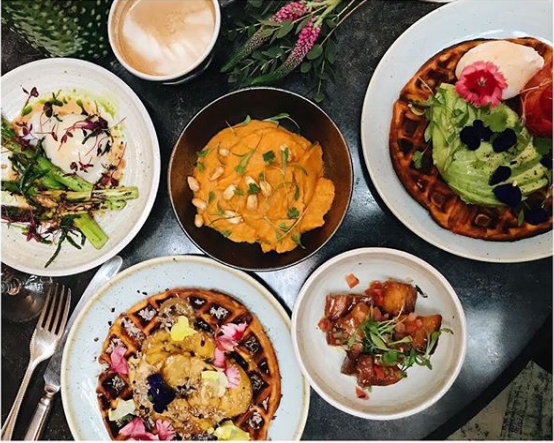 The sea bream ceviche is so fresh that it melts in your mouth and the signature brunch waffles will force you to make a reservation before you leave! What's the deal? For £25 per person you get the choice of sipping on unlimited bloody marys or mimosa, have a main dish from the brunch menu in addition to unlimited coffee, toast and jam. What should you order? Those with more of a traditional brunch palette, this one is for you. It has all the usual brunch dishes you can expect including smashed avocado on toast, eggs florentine and of course, a full English breakfast. The Great Exhibition does all of the dishes really very well but we must say, the Breakfast pancakes left us wanting more! What's the deal? £25 per person includes tea or coffee, a fresh pastry, a main course dish and a cake platter. You can add unlimited prosecco for 2 hours for an additional charge of £15 per person. What should you order? The Villandry is great for those looking for a classic English brunch experience that is served with a side of class. Aside from your complementary pastries and cakes, you are able to choose from an exquisite menu that serves dishes such as smoked haddock and salmon fishcakes and two poached eggs on sourdough. Both the Classic Caesar Salad and the Sweetcorn chilli fritters are to die for! 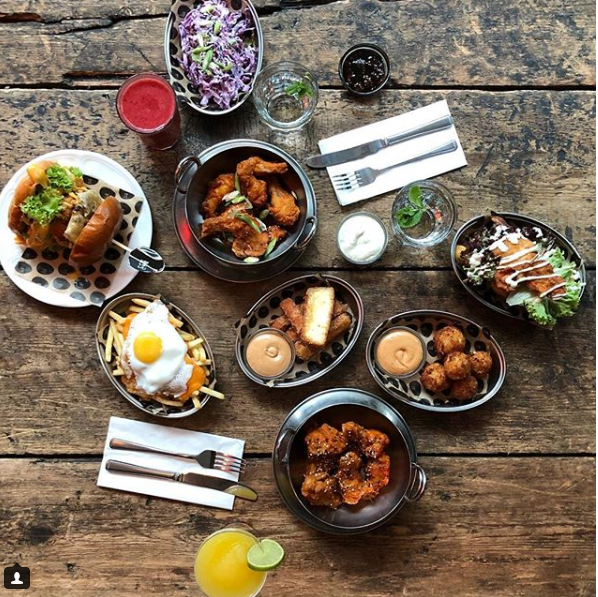 Brunch is good, a boozy brunch is great but a bottomless brunch is the dream! Whether you're a tourist or a local, don’t waste any time before becoming a part of this alcohol fueled, culinary experience which has become London's latest trend! Our top romantic holiday destinations for those couples looking to travel somewhere different. Check our these beautiful, romantic travel destinations 2018! Let us help you discover how to make the most of a cheap weekend holiday abroad. Read on for top tips for how to make the most of short weekend breaks abroad! Make the Most of a Weekend Get Away!